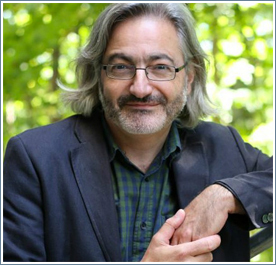 Gary Barwin is a writer, composer, multimedia artist, and the author of 21 books of poetry and fiction as well as books for kids. His recent novel Yiddish for Pirates won the Stephen Leacock Medal for Humour as well as the Canadian Jewish Literary Award (Fiction). It was also a finalist for both the Governor General’s Award for Fiction and the Scotiabank Giller Prize. His latest book is the poetry collection No TV for Woodpeckers (Wolsak & Wynn). Gary has been Writer-in-Residence at Western University and Young Voices E-Writer-in-Residence at the Toronto Public Library. He is currently writer-in-residence at McMaster University and the Hamilton Public Library in 2017-2018.